I’m selling my house! Why? 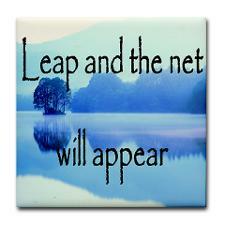 Well, as my refrigerator magnet says, sometimes you just have to leap and hope the net will appear (yes, I’m a student of refrigerator magnet philosophy). I made the decision following the first Drop Me Anywhere trip. You see, I had this idea for Drop Me Anywhere and, while I had no idea what it might lead to, after that first trip, I knew this was something. It was life-changing and, as I told a friend, “There’s a book in me.” It feels a bit like when Facebook and Twitter began. I believe Mark Zuckerberg and Jack Dorsey (along with the other Twitter founders) felt the same; “We have this idea and we thinks it’s innovative, we’re just not sure yet how (and if) it will make any money.” So, no longer in the realm of putting my money where my house is, I’m selling it. Once I sell my house, I’ll be traveling full-time so you can expect Drop Me Anywhere votes up more often. In between trips I’ll be doing a bit of house-sitting around the world (at least that’s the plan). My favorite part of traveling is meeting people. The other day I was thinking about all of the amazing people I’ve met in my travels and how they’ve affected the way I view the world. And while I like to live in the present as much as possible, I enjoy learning from those I’ve met in the past. This got me thinking, what if I could meet people long gone? What could I learn from them? As I have no access to a time machine (hello Elon Musk or Richard Branson, can you help?) I’m doing the next best thing; I’m going to their house. The latest Drop Me Anywhere vote is up and asks you to vote on which ancient civilization’s area I should visit. Please click here to vote on where I should go next (you can also click on the “Current Vote” link on the menu at the top of the page). And please share this! You can vote once per piece of electronic equipment per day. Voting closes on September 25, 2014. As always, while I’m there (where ever “there” is, I’ll find a local organization or project with which to volunteer and they’ll be profiled on Rebel-With-A-Cause.org. Ooh, this is going to be a difficult vote to choose, for certain. All great cultures with fantastic stuff to do and see. If anyone can make the leap that you’ve decided to make successful, it would be you. I applaud your decision and wish you good luck on the sale of your house! Thanks! Making fear my friend. Following princess Diana from birth to death has always intrigued me. Hmmm, I think the choices of locations could be immense, especially once she became a Princess. I’d like to do it in her wardrobe. Well thanks! I feel like I should give you one of those “I voted” stickers they give you in America when you vote.